This is my own version from Debbie Brown’s cake. 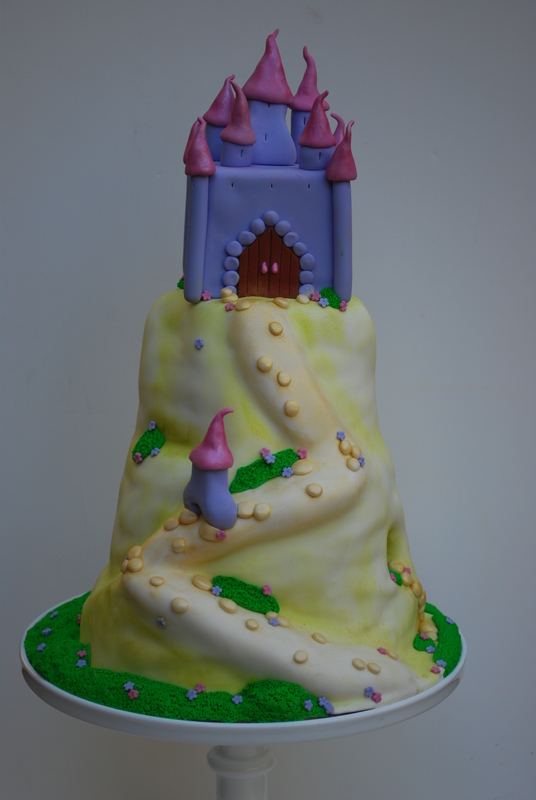 I carved this cake with the layers and tiers I had and followed her directions to be inspired. It is a dream come true of a cake to any girly girl. The top tier I made as a keepsake. The little princess will always remember her birthday cake and keep it for as long as she wishes! The cake has lots of shimmer from luster dust. Thanks for stopping by. This is a graduation/birthday cake for a wonderful girl. 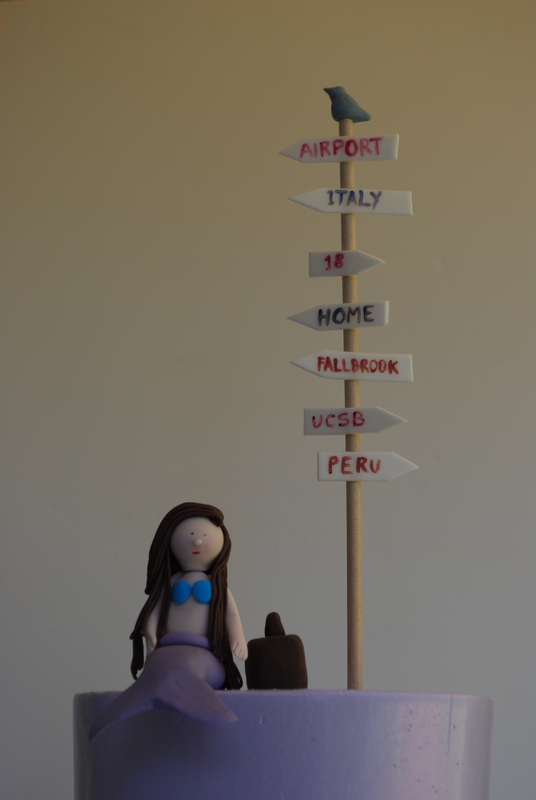 She is turning 18, traveling to Italy with her family, moving out of her home, going to college to study oceanography and has roots in Peru. I was lucky to bake for her and be trusted with the design of the cake. 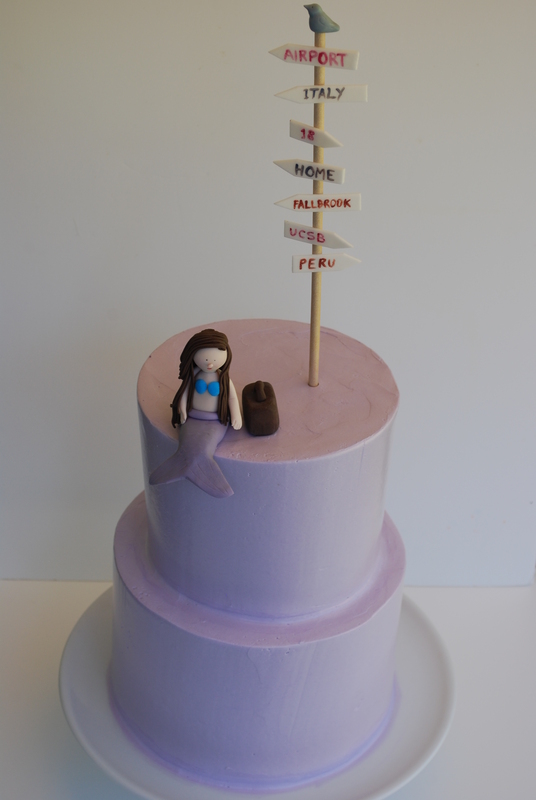 She asked me for a purple cake and a mermaid on it. I think the cake turned out as cute and sweet as she is. I am so proud of being using most of organic ingredients and sharing them with my beloved clients that are so open and kind to me and my designs. Thanks for the wonderful opportunity to bake for this family that is close to my heart.